7 resources designed to help you develop movement and games skills in children, with an emphasis firmly on fun, movement and activity. 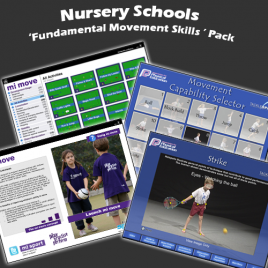 Developed by experts in children’s movement and part of Tacklesport’s Movement Observation Series, this resource will give you the skills and confidence to promote high quality ‘movement education’ for the students you teach. Use it with your students to enhance their knowledge and understanding of how they move and what they can do to become more skilful ‘movers’. G.A.P.S. 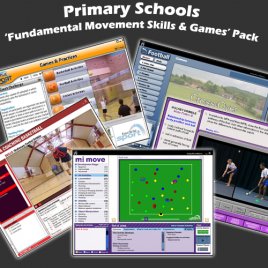 (Games, Activities, Practices, Skills) ® software supports the effective teaching and coaching of games and is based upon a ‘Making Sense of Games’ approach to teaching & coaching, providing Games as starting points. This approach is now recognised by ALL the major games Governing Bodies as the most effective way to introduce and develop games with players of all ages and abilities. In each G.A.P.S. resource Games are supported by a range of related Activities, with specific Practices to support key elements of successful game play (e.g. Passing), and focussed Skills exercises for the development of individual technique (e.g. leg swing in a lofted pass). Effective planning and delivery tools for teachers, they can be used for directed learning via a projector or interactive whiteboard prior to forming the core of practical lessons and sessions. You don’t need to be a basketball expert to gain from this resource. 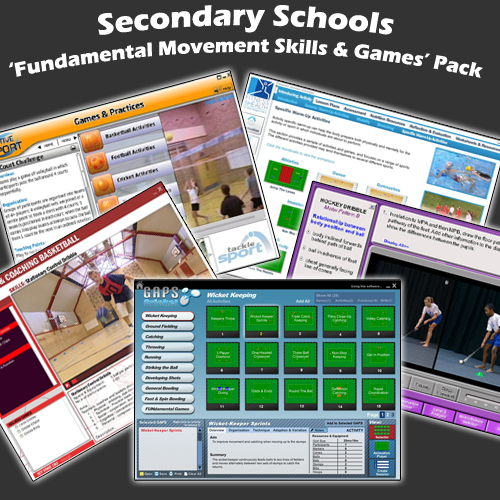 Produced in association with England Basketball and based on a ‘Learning through Games’, fun approach to playing games, it gives everything needed for active, enjoyable and meaningful P.E. & Games lessons and team coaching sessions. 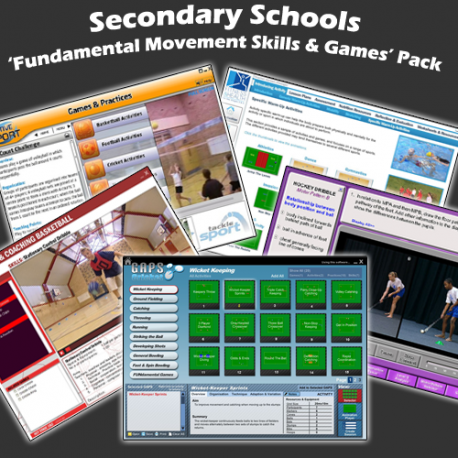 Including videos and animations, printable explanatory text and session planning templates you will be able to provide your students with action packed, fun lessons whatever your experience of basketball! Major concerns about the health and fitness of young people, including growing awareness of a growing obesity issue, provided the catalyst for the production of Tacklesport’s Fitness & Health software resource to support national Curriculum P.E. Using a learner centred approach that promotes individual responsibility and informed choice, the resource provides background information and lesson ideas for the integrated delivery of knowledge and understanding of fitness and health in and through physical education lessons. This simple to use digital tool is perfect for assessing and developing sports performance in students. For use by both teachers AND students it can identify elements from Physical, Technical, Tactical, Psychological and Lifestyle domains and in a variety of contexts e.g. an individual sport specific profile, a team performance profile or a competition profile. Simple to use, the profiler comes with widely accepted fundamental performance components listed; these are editable to provide flexibility of use, with functionality within the profiler allowing for as many (or as few) components to be selected and qualities to be listed as required e.g. the profiler may be used to establish a ‘general’ overview, to monitor progress, as an assessment of a pupil’s physical state or as a measure of their technical competence, or as an evaluation of competitive performance.